Few months ago a Polish friend of mine told me about some amazing skin care products and introduced me to Ziaja. 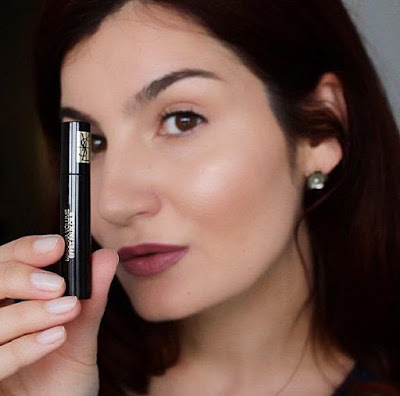 My blog post today is about how I discovered a range of quality skin care products, cruelty free, based on plants and developed by Polish pharmacists and chemists. I was quite intrigued and curious when I've heard that some of their products even received awards, before I made my first order I had to know more about their products to be able to choose the perfect creams and lotions that will suit my skin needs. As a client and as a beautician I am really happy to find a cosmetic company concerned about the health of their clients and in the same time a company that is environmentally aware (they have an empty packaging recycling process and they never test on animals). For me Ziaja means modern beauty, safe skin care (the products are tested at the Medical Academy and in dermato-clinics from Poland), quality skin care products produced with a modern technology, amazing active ingredients and affordable prices. 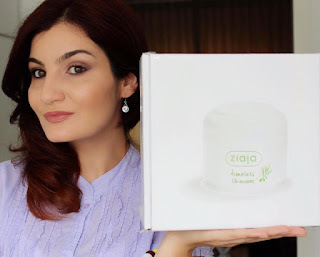 I was pleasantly surprised and really happy that I was allowed to choose 3 products from Ziaja NL to try out and test for my blog and for you, my readers! You may be cleansing, using the most expensive cosmetics, layering sunscreen but if you are not exfoliating regularly, your skin will look dull, dry, lifeless and with clogged pores. The best type of exfoliation depends on your complexion and the condition and sensitivity of your skin. If you want healthy, glowing skin, regular exfoliation must be a part of your weekly skin care routine. Did you know that your skin can shed 30.000-40.000 dead cells per minute naturally ? How does that sound to you ? I exfoliate my skin 2 times a week with Ziaja Rose Butter micro -peeling scrub cream and since the very first use my skin feels so smooth and soft. Ziaja Rose Butter micro -peeling is designed for dry and sensitive skin,allergy and dermatological tested. This product is also a delicate cleanser that smells like fresh roses and it has smooth round micro granules that cant create any micro injuries to the skin. Most of the finished products are from the skin care range and some of these products were featured in the past, in the 2015" Beauty Empties" articles where you can also see what I love the most and what are my favorites- when it comes to skin care, hair care or makeup. This post will only feature products (skin care and makeup ) for face and here are the 18 empty products and some impressions about each of them. 1.Avene Thermal Spring Water, 300 ml and 150 ml. Probably my favorite thermal spring water from all the famous ones. I mentioned before all of these products for my make-up removing process, they have been present in all my beauty empties post. I really love volume and length on my lashes, not just length because long skinny lashes look really wired in my opinion. YSL Mascara Volume Effet Faux Cils (black ) claims high volume and a dramatic false lash effect. Let's see how it does this job ! Beauty Magic Box. Simple theme. Powered by Blogger.